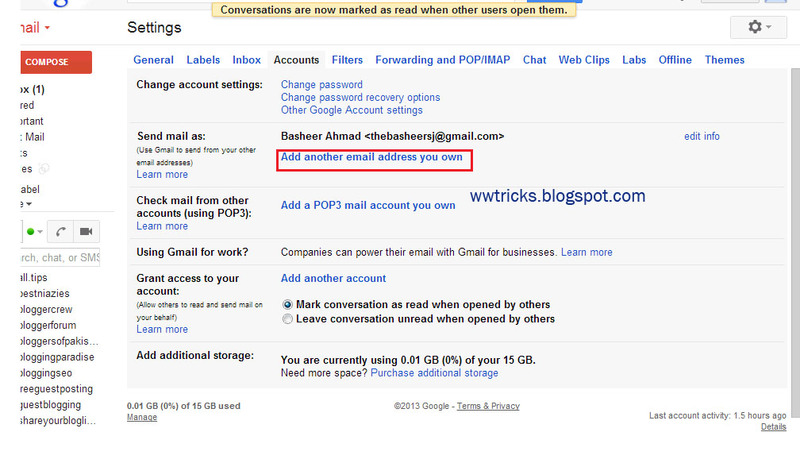 I think now a days every body may have more than one Gmail accounts. Let suppose you are a blogger so you may have one Gmail account for you blog and let one for social media (to receive social media notifications) or may be more for other, So every day you need to access these accounts. But it will be difficult for you to log-in to each and see all one by one. So you need a solution for it. 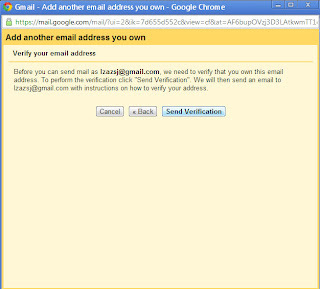 I think one option is to activate private browsing mode in your browser, so you will be able to log-in to multiple Gmail Accounts .But there is also another good solution for it to manage/merge/link multiple Gmail accounts in one Gmail account, as Gmail gives you this useful feature. So here we are going to discuss this Gmaiil feature . 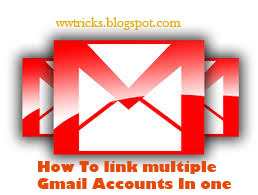 I.e how to link and use multiple Gmail accounts. So let straight to the point, In order to do that follow the steps given below. 1.) First of all Login to your account from which you want to use multiple accounts. and click on settings from the upper right side "Gear" option drop down menu and then switch to 'account' tab. A new window will pop-up So type your secondary email address(you want to link with existing ) and click on "Next step" button and then click on "send verification" button. 3.) Now you have to login to your secondary account to click on verification link or give the verification code here. A quick tip - Activate a private browsing window and open secondary Gmail in background private window in the same browser. 4.) 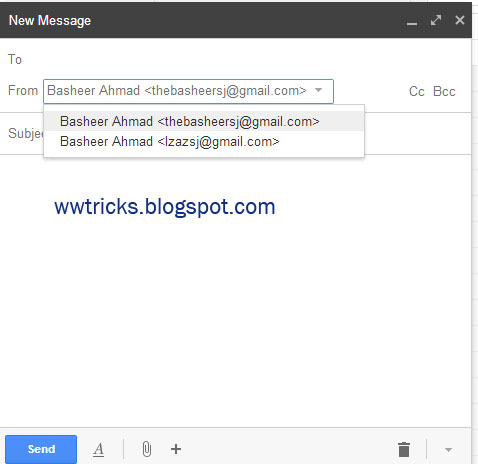 Now after clicking on the given link you will see in the new tab "Confirmation success!". 5.) Everything you was need is done now! I.e you linked Multiple Gmail Accounts. 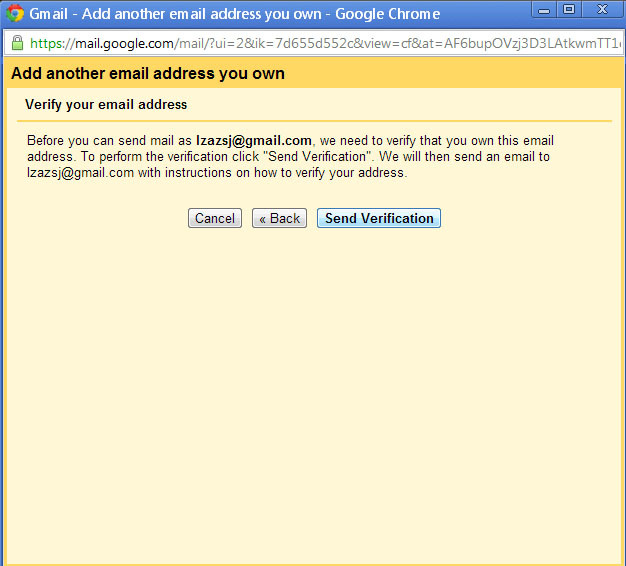 1-> Your primary gmail account will be as default, you can also set the secondary( you added ) as default by going to settings and then click on "Make Default". 2-> if you want do remove the secondary mail then click on "Delete"
3-> Click on edit info if you want to change the Name. 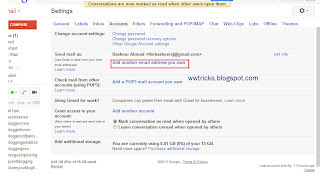 5-> When ever you Want to send a mail,it will sent from your primary(default) mail account, if you want to send from secondary then you've to select from the "From" drop down as given below. 6-> Still any problem? leave a comment. Help and Support Us: Note that we need your support, you can help us by sharing our blog on social media networks you are using.I.e Facebook,twitter,stumbleupon,delicious,digg,etc.